This Foam Brush is ideal when you coat cyanotype or salt print chemistry on to your paper. It won’t leave any brush marks, so will give a very even coat. Made from a special foam so won’t leave fibres on your surface like ordinary rollers and brushes. With a polyethylene stiffener to keep its shape. These brushes are 3 inches wide with a wooden handle. Very easy to clean but also cheap enough to throw away. So ideal for workshops or any educational purposes.NASA also use these brushes, for the application of primers, top coats, grease, release agents and adhesives. Have a look at the other Alternative Processes materials we keep in stock. 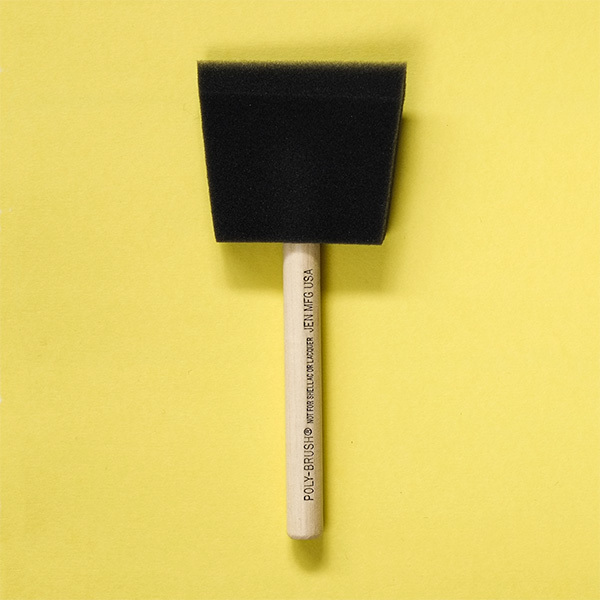 We recommend this brush when making Cyanotypes. Have a read of our How To Make Cyanotypes.